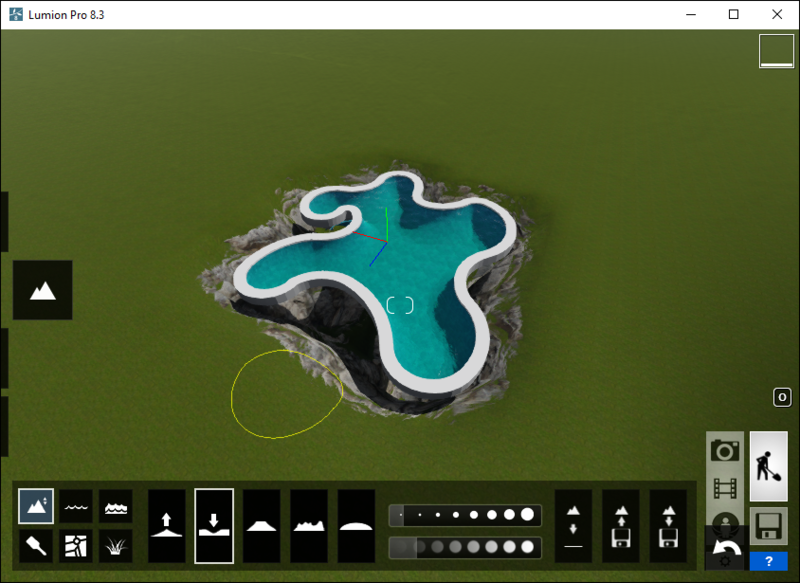 When you import a swimming pool and you need to lower the Lumion Terrain (see this 知识库 article for more information), it can sometimes expose the steep terrain along the edge of the swimming pool. 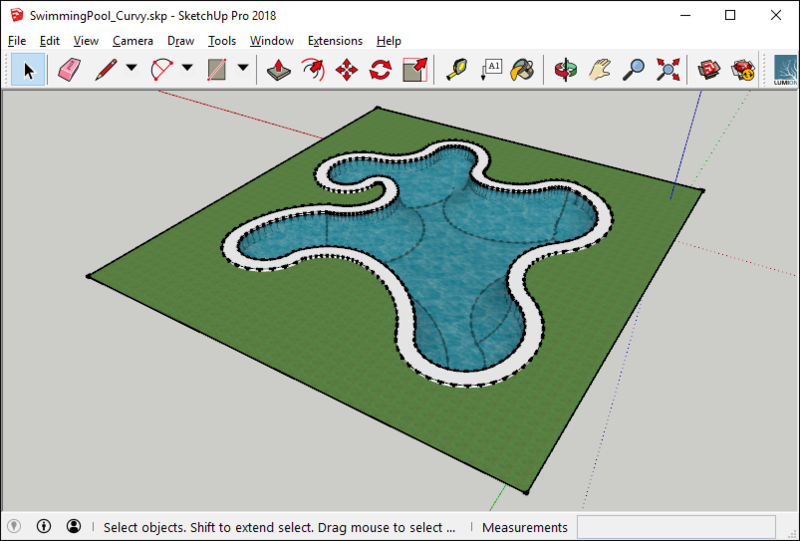 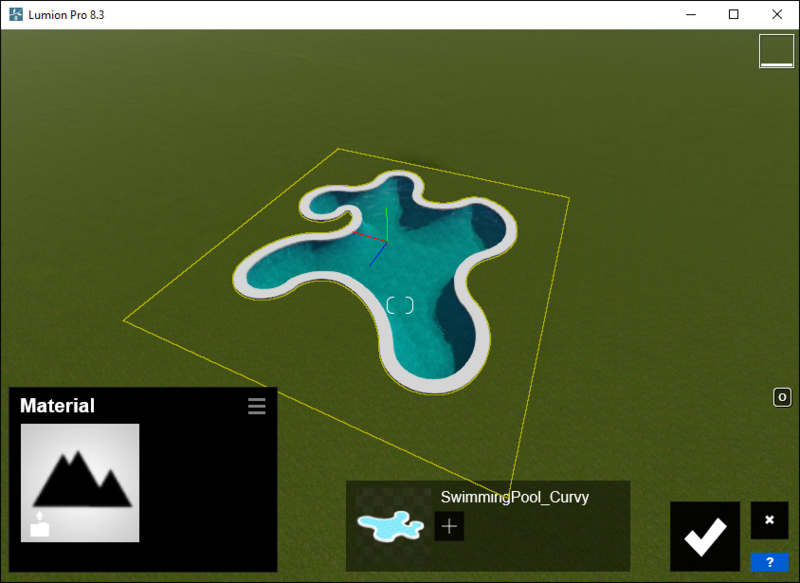 1.1: To resolve this problem, add a terrain 'skirt' surface around the swimming pool in your CAD software, so that the steep Lumion Terrain is hidden under the imported terrain 'skirt'. 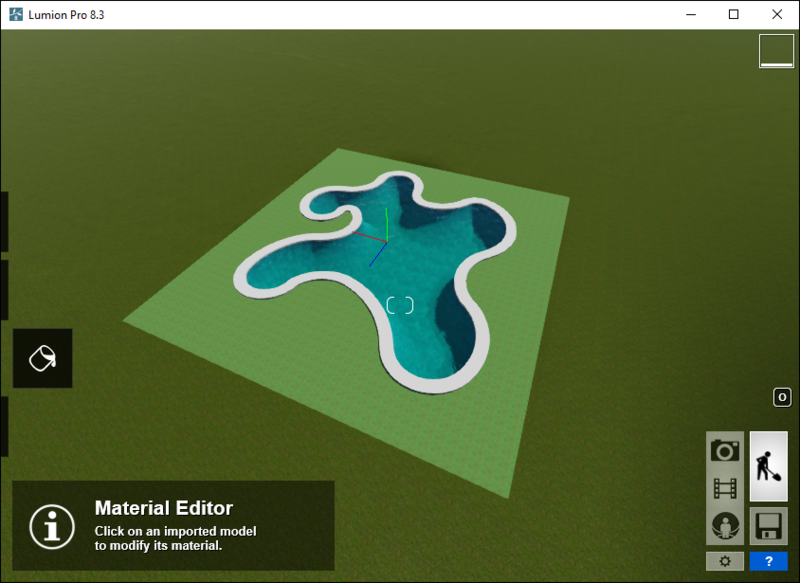 1.3: After re-importing the model in Lumion, assign a Landscape Material to the imported terrain 'skirt' to make it blend in with the material of the Lumion Terrain.